Do you know what kind of culture your organisation has? Is it positive, negative, indifferent? How do you contribute to your organisational culture? Do you believe that you are able to impact organisational culture? Or do you believe that only leaders can determine an organisation’s culture? StressLess Learning works in partnership with clients to customise and refine all workshop content and duration to suit both organisational goals and individual learners requirements. Anyone who wants to better understand and participate in building a positive culture for their organisation. 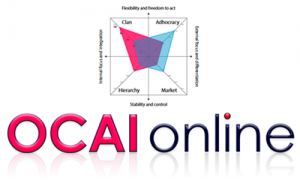 As an additional offering, StressLess Learning is able to guide you through the use of the online Organisational Culture Assessment Instrument (OCAI) tool to get a quick overview of your organisation’s culture archetypes – and start a dialogue & change process that will help your organisation thrive. The OCAI is a validated tool for assessing current and preferred organisational culture, developed by professors Robert Quinn and Kim Cameron of the University of Michigan, based on the Competing Values Framework. It’s been used by over 10,000 companies worldwide. The survey takes about 15 minutes. Contact us to discuss your needs.